Unless you’re from Milwaukee, you don’t understand custard. It’s part of the culture, and we eat it constantly, even through the most Antarctic winters. For the laymen, custard is like ice cream but has more of the good stuff -- namely butterfat and egg yolk -- and there’s less overrun, meaning less air is whipped into it while freezing. That means it’s richer and denser and ultimately more superior than ice cream. 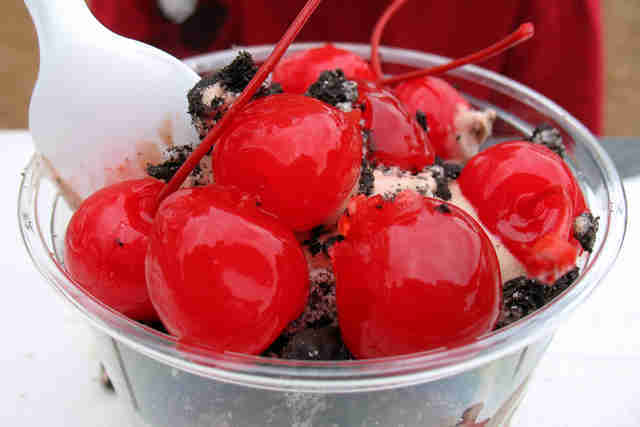 Here are Milwaukee’s 10 best custard stands to get your dairy on. 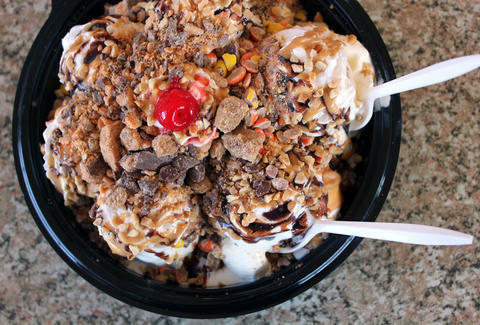 If you want the essential Milwaukee custard experience, you can’t go wrong with Leon’s. It’s been around just about forever, and along with another MKE institution (spoiler alert: Kopp’s), it’s got the best custard. 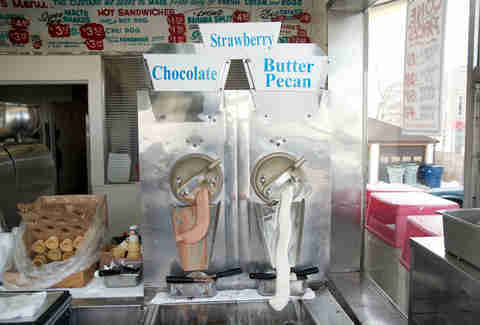 The cinnamon, butter pecan, and raspberry flavors are classic, and somehow it all tastes better under its neon lights. 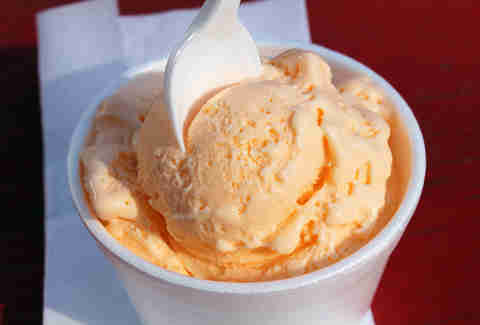 If you’ve never had custard -- gasp! -- go here first. The other custard institution in MKE, Kopp’s has adapted to changing tastes a little more with the times, and offers a massive lineup of daily rotating flavors. There’s everything from rum and Coca-Cola to blue moon and red velvet cake. The real standout, though, is plain-Jane vanilla. 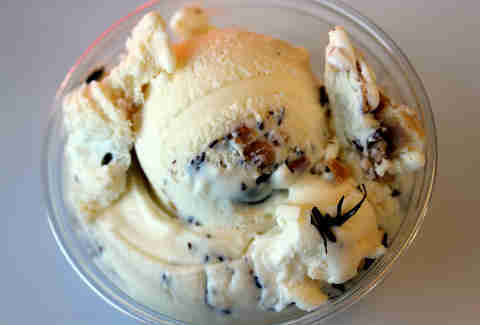 It still wows next to the showier flavors, and it gets even better when you add Kopp’s salty dark chocolate hot fudge. True story: I once saw an employee at this little Greek stand carry stacks of Bakers Square pie boxes into the kitchen on banana cream pie custard day. Most of its daily flavors are created by mixing the token thing with custard for each serving, so you end up with kind of a sundae no matter what. Fancy Mediterranean cherries in purple syrup were a nice change from the usual neon variety. Gilles is the oldest custard stand in Milwaukee, having opened in 1938. You can get the usual flavors of the day, but if you want something different, you can ask for one of Those Things. 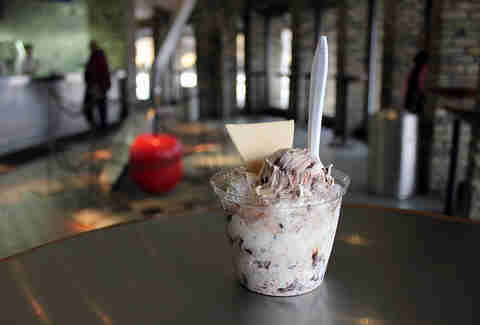 It’s a chocolate-covered cookie and vanilla custard pop on a stick, and it’ll make you feel like one of the cool kids. 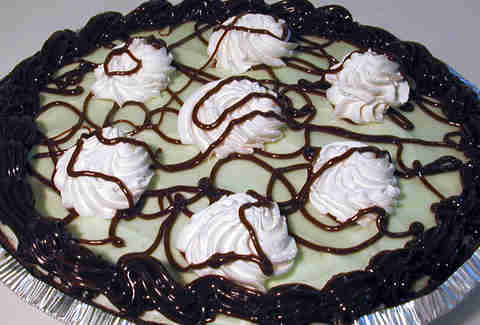 Also popular are the custard pies, especially the grasshopper. They’ve made many a birthday party extra festive. 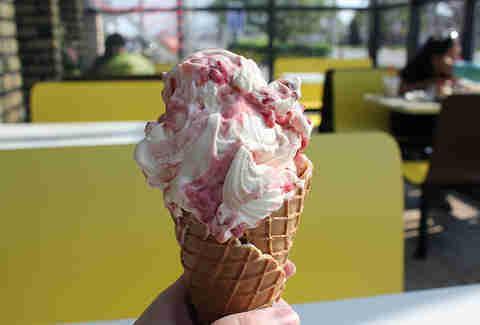 Any flavor custard here is great when you get it in one of the fresh, homemade waffle cones. They’re popular so there’s almost always an overeager teenager working the waffle irons and rolling the hot cones. 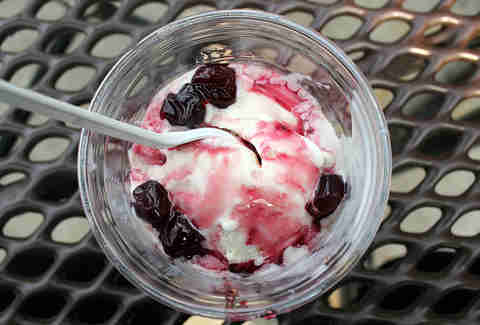 They always leak out the bottom, but it’s a small price to pay for an edible cherry amaretto cheesecake container. If you can ignore the terrible algae smell coming off the lake, then you’ll probably find yourself at Bradford Beach sometime during the summer. Unless you bring a picnic, everyone gets deep-fried cheese curds and custard after a hard day of beach volleyball or kite flying. Because we’re super concerned about our svelte figures, obviously. Kitt’s old-school neon signs have been a beacon to Northside residents for a long time. You’ll get no-nonsense service and you’ll have a friendly neighbor to chat with while you wait for your order. Dreamsicle tastes more like blue moon than orange, but I’m not complaining because the mysterious blue moon is pretty much the best flavor anyway. Big Deal has the usual flavors of the day and shakes and all that stuff, but it's also got a ginormous sundae, appropriately called the Big Deal. 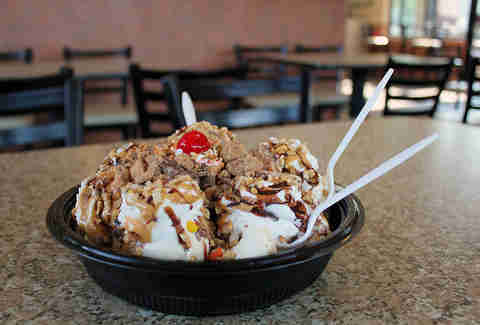 It’s got seven scoops of vanilla custard topped with every chocolate and peanut butter topping they have: Butterfinger, Reese’s cups and pieces, chocolate and peanut butter sauces, crushed nuts, and of course a mountain of whipped cream. I just wish there was a Ziggy Piggy song and stylish button for when you finished it. The building Junior’s is now in has been a custard stand since the 1950s, and was an original Kopp’s location until 1994. It changed hands a few times, and Junior’s opened in 2011 and it’s going strong. Besides burgers and some really tasty homemade curly fries, you can get messy banana splits, brownie sundaes, and flavors of the day like Drumstick with chocolate bits and crunchy waffle cone pieces. Fred’s doesn’t quite abide by the same custard rules as most everyone else, since it makes its custard in a soft-serve machine. One thing that’s great for, though, is making drinks. 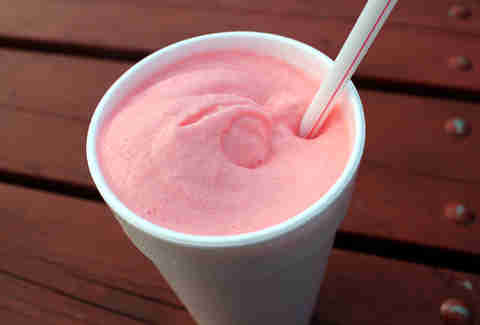 For something really refreshing, try the slushicle, a slushie blended with vanilla custard. It’s extra light with just the right amount of sour pucker from the slushie syrup. Get a rainbow one that has all the flavors together if you dare. Lacey Muszynski is a Milwaukee food writer who refuses to move anywhere there’s not at least a Culver’s for her custard fix. Follow her: @worthhersalt.